The self-heating battery uses a thin nickel foil with one end attached to the negative terminal and the other extending outside the cell to create a third terminal. A temperature sensor attached to a switch causes electrons to flow through the nickel foil to complete the circuit when the temperature is below room temperature. This rapidly heats up the nickel foil through resistance heating and warms the inside of the battery. Once the battery's internal temperature is above room temperature, the switch turns opens and the electric current flows into the battery to rapidly charge it. 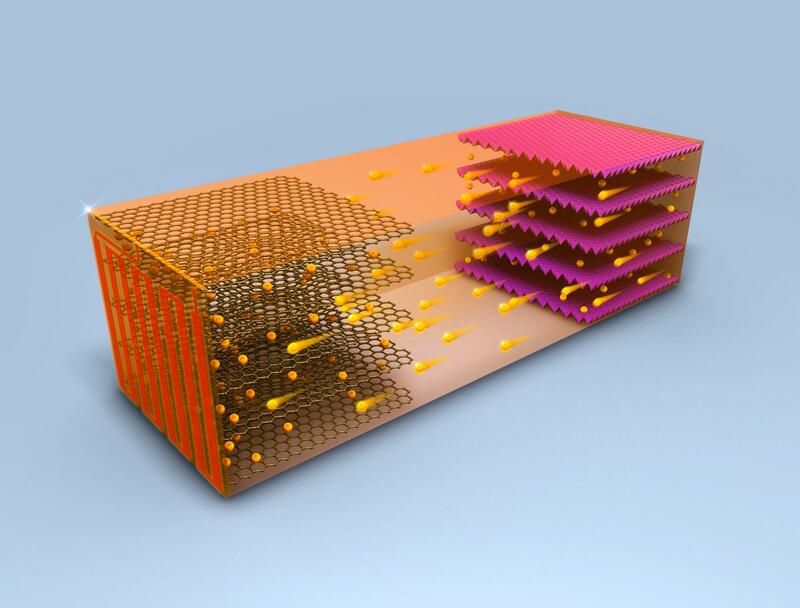 "One unique feature of our cell is that it will do the heating and then switch to charging automatically," said Chao-Yang Wang, William E.
Diefenderfer Chair of mechanical engineering, professor of chemical engineering and professor of materials science and engineering, and director of the Electrochemical Engine Center. "Also, the stations already out there do not have to be changed. Control off heating and charging is within the battery, not the chargers."